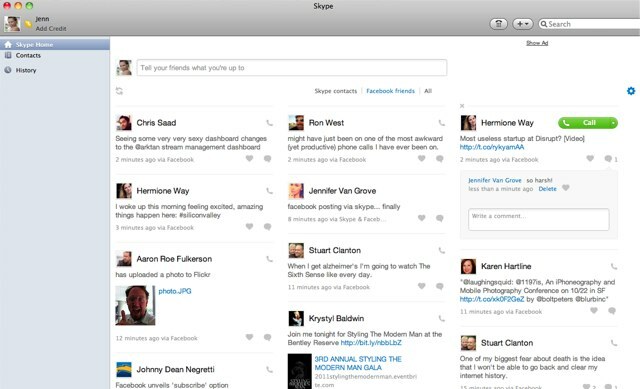 The newly launched beta version of Skype for Mac provided users utility to message and call Facebook friends. More it has integrated a Facebook News Feed within and through its desktop applications. This version of Skype has the features as similar to the Windows beta version, launched a year back. This time interface is retooled as according to the need and necessities of mac users. Ads have made their way to Skype for Mac, too. Non-paying Skype users will now be able to see ads in the Skype.